Being green is fun! That’s why we love seeing people innovate and create greener ways to enjoy their hobbies. When we all get together and do our little bit, we can have a huge impact, without making a massive sacrifice; we call it eco-pragmatism. Finding practical ways to combine our careers, hobbies and passions with a more conscious way of living, is totally achievable, if we all work together. All we need to do is think creatively and share our ideas. With that in mind, here are a few of our favourite ways to have fun sustainably. Jet-setting across the globe usually means giant carbon footprints, but that doesn’t have to be so. Domestic travel is a great place to start. But, if we want to travel further, ethical tour companies do a great job in delivering exciting and responsible ways to travel. For example, Responsible Travel offers opportunities to explore the world and volunteer for local communities or endangered animals. Finding green accommodation is another way to reduce the impact of our travel. And the great news is, there are so many to choose from. The scale of fashion waste is a massive problem, so the longer we can hang on to our clothes the better. You can make a statement by buying second hand and vintage clothing, and repairing and customising the stuff we already own is the equivalent of walking the eco red (or green) carpet. We love sustainable fashion so much we’ve already written a post all about it, so if you’re interested, you can see it here. Then check out our favourite sustainable designers. Growing our own veggies and herbs is a great way to do our bit. It&apos;s no secret that supermarket food has often been shipped across the globe and wrapped in plastic. Switching to home-grown is greener, cheaper and fresher. And don’t worry if you don’t have a lot of space, there are creative alternatives. Make your own window herb garden, or participate in a nearby community garden. Even something as simple as taking your exercise outdoors can greatly reduce the toll that indoor gyms take on our environment. There’s a range of awesome outdoor fitness classes held in parks, and exercising outdoors can even reduce stress. How cool is that? If you love tech, there are some awesome companies designing sustainable gadgets, such as iameco or Fairphone, who produce sustainable laptops and phones. You can also make your gadgets greener by making them last longer with e-repair. Check out the great work of ifixit.com or support your local Restart Cafe. The Restart Project is a London-based social enterprise that encourages and empowers people to get the most out of their electronics, and reduce e-waste. There are similar groups all around, so keep an eye out! Recently, there has been a huge increase in the popularity of upcycling, which turns ‘rubbish’ into items of real value. Reuse found items and incorporate the art of repair into your craft. Repairing and reusing is a great way to take craft skills to another level and reduce waste by creating beautiful new items. Check out DIY home-craft and high fashion. Get involved! The beekeeping craze is swarming all around us. Urban development and pollution are among the factors playing a role in the decline of our stripy friends. But people like Heidi Herrmann are leading the way in advocating beekeeping as a hobby, which is helping to halt their drastic decline. Basic beekeeping doesn&apos;t require huge amounts of money, time or space. It can be done just about any place where flowers bloom. The more we fix, the less we waste, and fixing is a great way to make nearly every interest greener. From electronics to outdoor adventures we can all make an impact just by making the stuff we have last a little longer. In some cases, being a fixpert can even help you push your hobbies further. 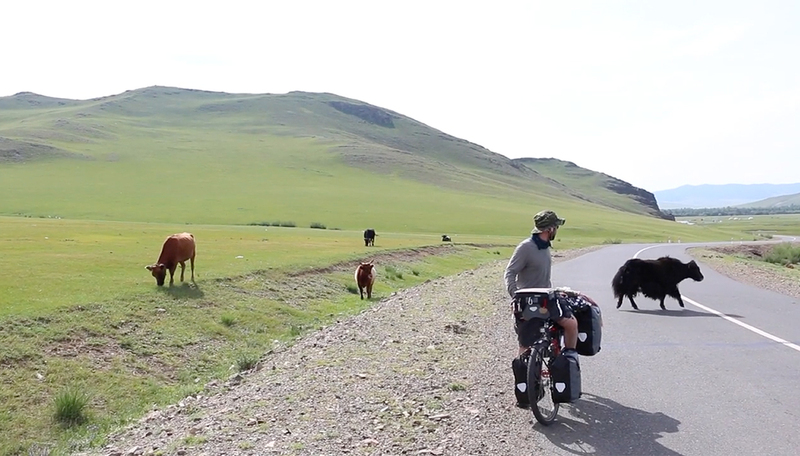 Ciaran and Lucy travelled all the way from Japan to Ireland, via Mongolia, by bike, and fixed their way out of trouble along the way. Hear the story of their amazing journey here. There are so many ways to enjoy yourself and be greener. We’d love to hear how you incorporate it into everyday life, your work, rest, and play times. Get in touch and spread the word. Connect with us via Twitter, Facebook and Instagram. A great space-saving storage solution with an upcycled jar and Sugru.